Teachers may elect to tour SEA LIFE Melbourne at their own pace focusing on areas of their choice. Be amazed at the abundance of aquatic species and the unique environments on display with the freedom and flexibility to develop your own journey. This popular program allows you to choose as much free time as you need in any of the Aquarium’s worlds during your two hour underwater journey. PLEASE NOTE: Students will experience all of the exhibits during the allocated 2 hour session. 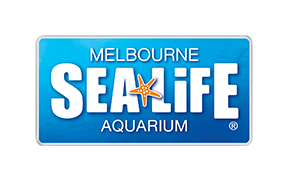 School groups are not permitted to enter SEA LIFE Melbourne before or after their session as those times are allocated to other school groups.